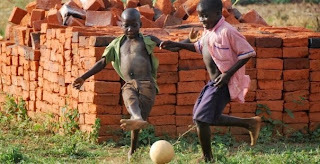 We are so pleased that finally after months of hard work fundraising and praying, the field in Katanga is now safe and useable for our children to play on it once again. This field is much loved by our children, and it is such a joy to be able to use this field again to let our children play and to have fun in a safe environment once again. 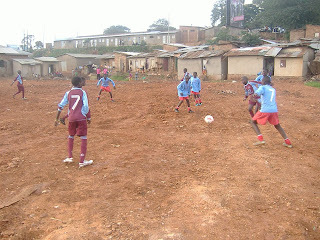 To celebrate the field being finally fixed, the first thing we did was hold a football match! 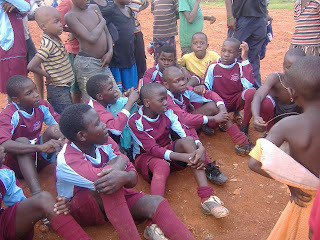 Our children at Kids Club Kampala love football, and it was a real shame that the field was out of order for so long that football practice could not take place. 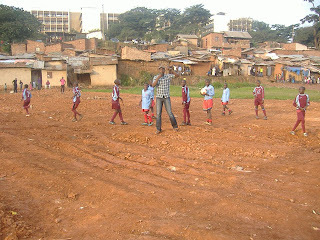 So this Saturday we held a big celebration day to officially re-open the field, with the highlight being a football match between Katanga and Mulago KCK centres. 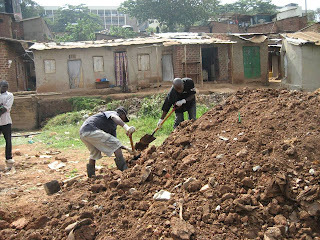 Life is tough for teenage boys in Uganda, especially if you don’t go to school and live in one of the most dangerous slums in Kampala. 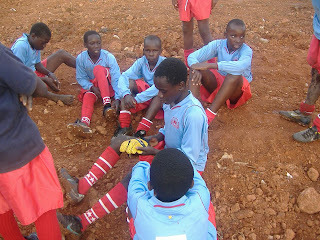 Our Football Programme not only gives our boys something fun to do and somewhere safe to go where they keep out of danger and trouble; but also gives them hope, confidence and self-esteem as they are encouraged in their talents and know that they have someone who believes in them and their dreams. The whole community could not wait to see the field in use once again, and we are so pleased to be able to bring hope, joy and love to this community through helping to fix the field. Thank you so much to everyone who prayed, donated and fundraised for this, and thank you to our volunteers and community members in Katanga who worked so hard on getting it ready in time. Older PostOur children now have a place to play!